At Christmas there is nothing more inviting that a luscious wreath on the front door or abundant garlands trailing through the hallway and up the stairs. 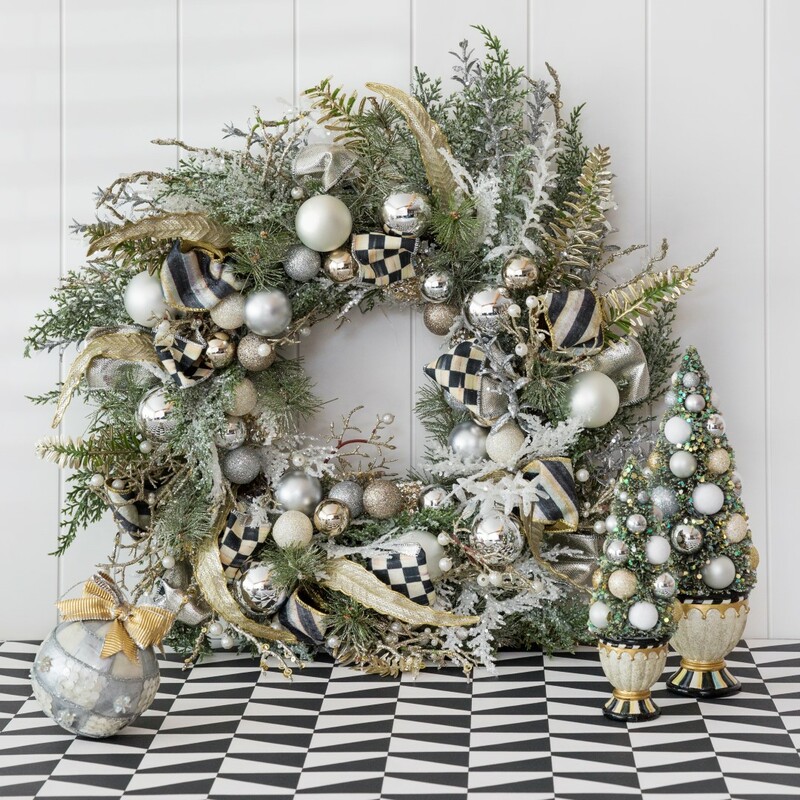 MacKenzie-Childs’ wreaths and garlands are the best of the bunch and are packed full of thick branches, faux flowers and shimmering decorations. In reds and golds or sparkling silvers, they will help you create a festive entrance to remember. 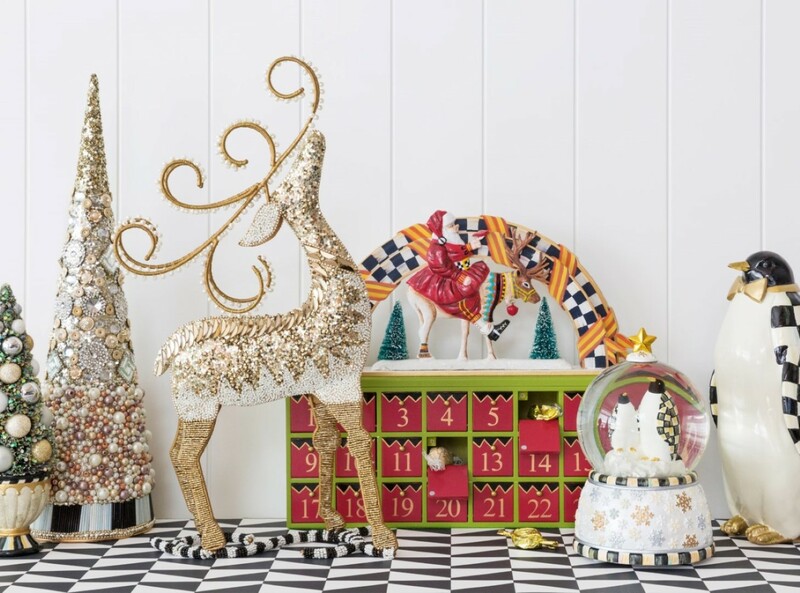 MacKenzie-Childs Christmas tree decorations are traditional, timeless and at times wonderfully weird. 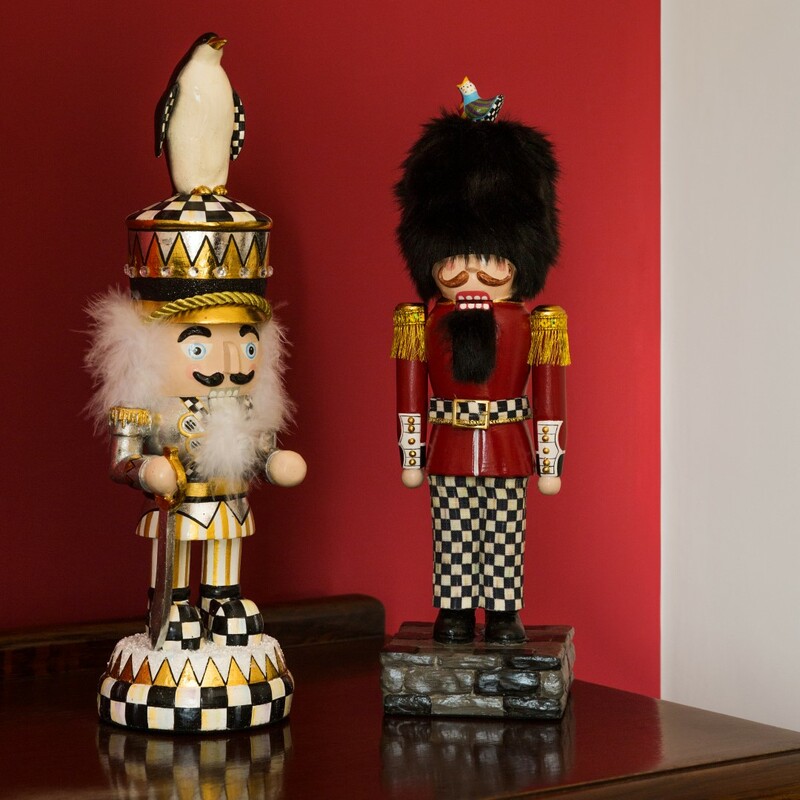 From the nutcracker with a penguin perched on his head to our personal favourite the Queen Bee Keeper, they will delight you and your guests. 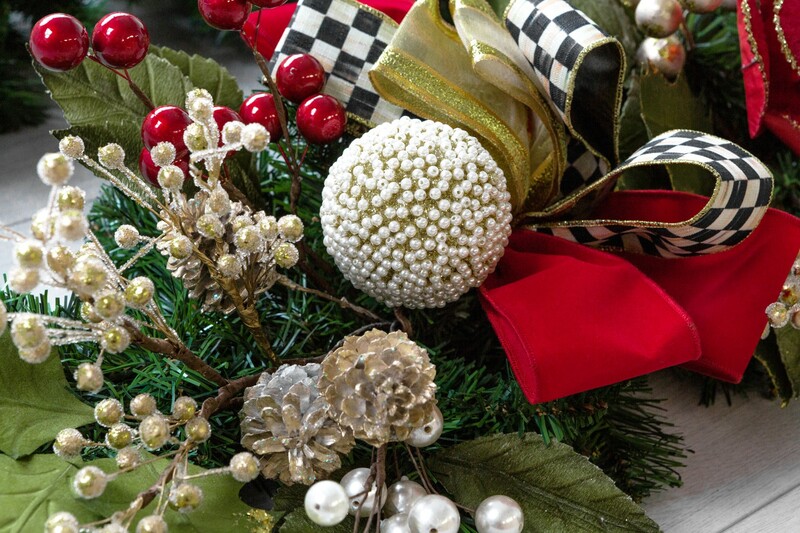 Scatter a special few of these decorations throughout your tree branches to create a unique look that is certain to get your tree noticed. 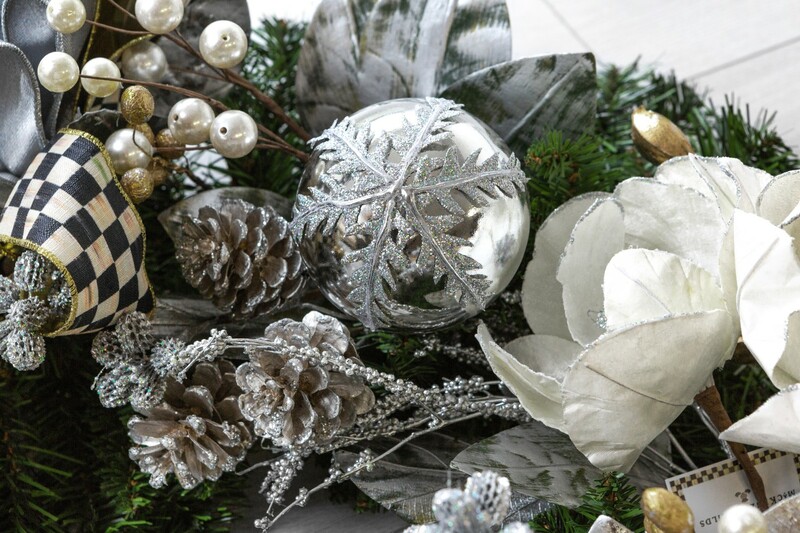 No festive home is complete without a striking centrepiece to set your table for the big day. 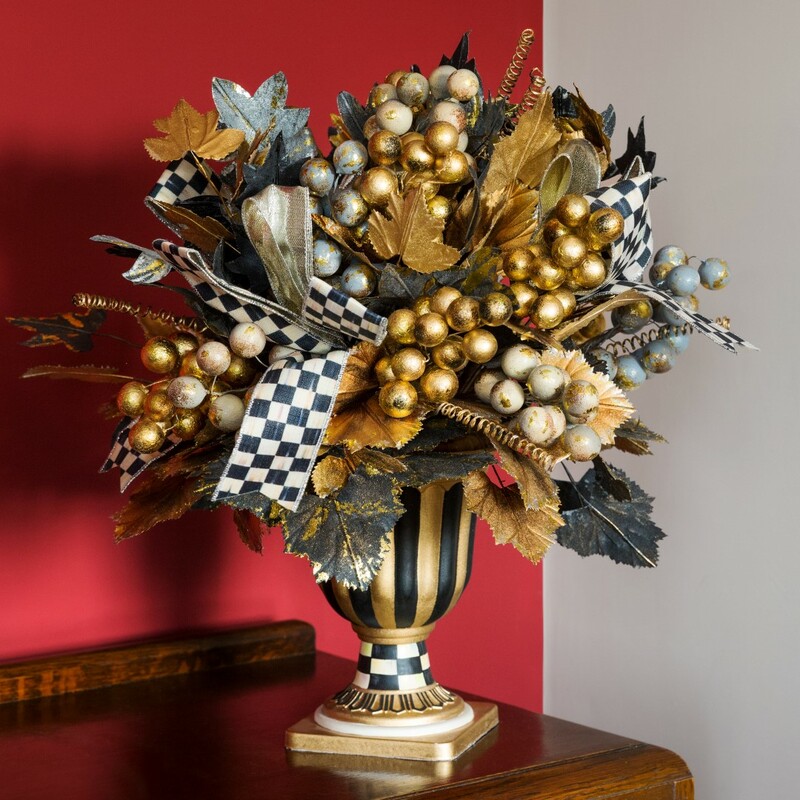 The grand Vendage centrepiece is a majestic finish to any Christmas table, or is equally extravagant placed in the hallway or on a side table. 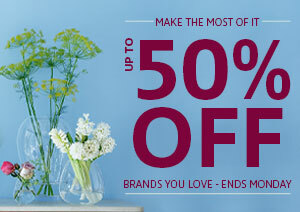 If you prefer a lower centrepiece, why not trail one of the garlands across the centre of the table? And you can even nestle small table presents for your guests in the branches.